The BoE reckons UK rates will peak well below pre-crisis levels. Unless inflation jumps, the same will be true in the United States and euro zone. That will leave little room for traditional stimulus when economies next slow. Once radical, quantitative easing may turn mainstream. 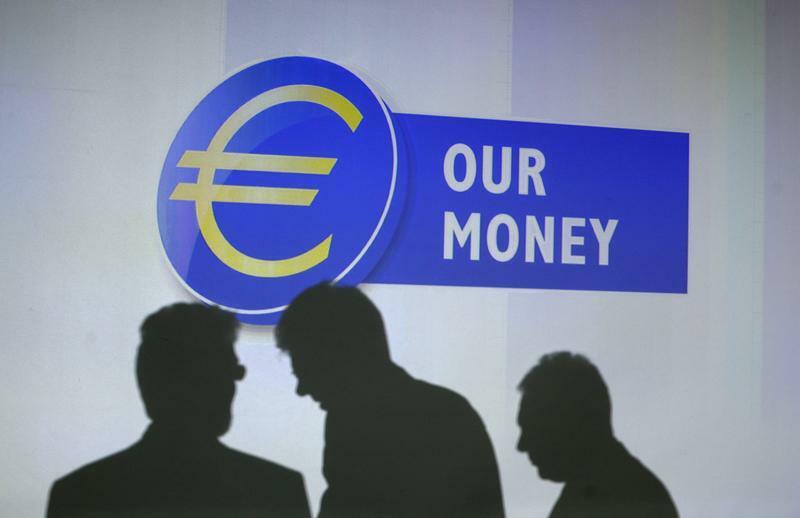 Guests of the presentation of the new 10 euro banknote throw a shadow on a video projection at the European Central Bank headquarters in Frankfurt, January 13, 2014. The Bank of England’s February Inflation Report said the Monetary Policy Committee “judges that there is scope for the economy to recover further before Bank Rate is raised and, even when Bank Rate does rise, it is expected to do so only gradually and to a level materially below its pre-crisis average of 5 percent”. The target range for the U.S. fed funds rate is 0-0.25 percent. The ECB’s key refinancing rate is 0.25 percent. The Bank of England’s key official interest rate is 0.5 percent. Rate cycles in the past two decades have seen UK interest rates rise by an average of 136 basis points, with the heftiest tightening just shy of 2 percentage points. Excluding a one-off quarter point hike in 1997, U.S. rates have on average climbed 3 percentage points. Euro zone rates rose by 2.25 percentage points in the two major tightening cycles seen since 1999.